Dylan Valley is an award-winning documentary filmmaker and Associate Lecturer at the University of the Witwatersrand, Johannesburg. He has directed various documentaries for South African and international television, namely the award winning Afrikaaps (2010), The Uprising of Hangberg (2010), Jumu’a (2011) and Incarcerated Knowledge (2013). He has also directed two documentary films for Al Jazeera’s Documentary Channel (via Hotspot Films, Cairo). 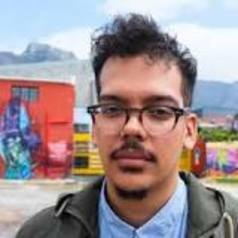 Dylan is on the editorial team of the critical Pan-African arts, politics and culture blog, Africa is a Country. He continues to dream of being a DJ.